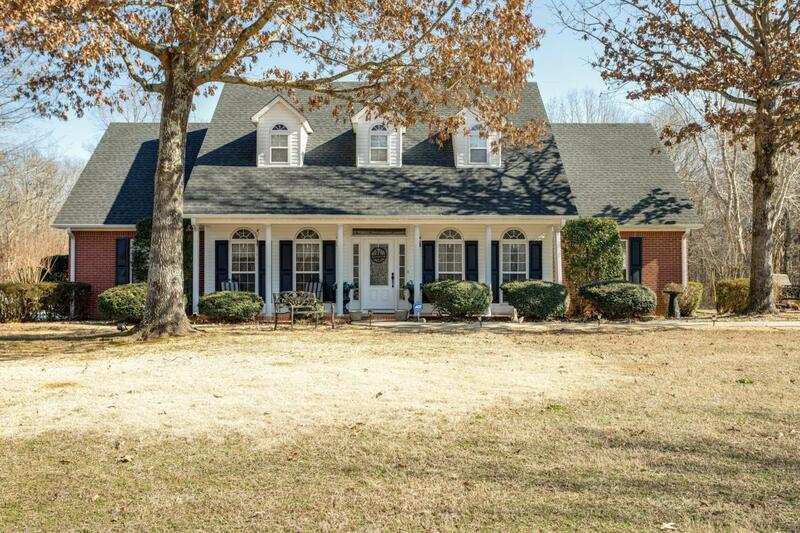 Beautifully updated home on 2.5+ acres with detached 25x32 workshop, 2 car side entry garage, inground pool, covered deck, large patio, and that's just on the outside! Updated kitchen with storage galore, large master bedroom suite with sitting area, fireplace in the living room for cold winter nights, breakfast area, separate dining room, spare bedroom, and 2.5 baths; all on the main level under 9 foot ceilings. Upstairs boasts 2 large bedrooms, a study area and Jack & Jill bathroom.